Ed. 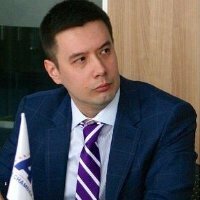 Note-today we have a guest post from Timur Khasanov-Batirov, Chief Compliance Officer at DTEK and Co-Chairman at Compliance Club of the American Chamber of Commerce in Ukraine. He can be reached at tkhasanovbatirov@gmail.com. It will be a challenge. I mean to build a program that will give you at least certain level of comfort in the Russian, Kazakh or Ukrainian business reality. Obstacles are well known-high level of corruption, transforming economies, ambiguous laws. And here goes the main problem-do people (including you) believe that it is possible to act ethically at these markets? There are some thoughts below which hopefully could give an idea about ways to manage risks of those profitable but extremely risky jurisdictions. In-house rule of the games traditionally incorporated in the Code of Ethics and anticorruption norms is a must have minimal standard. It is a pretty obvious custom. You should also think about compliance with sanctions regime imposed by the USA/EU on both Russians and Ukrainians. There is always a risk that your business is dealing with an entity ‘controlled’ by a blacklisted person. Considering a pretty wide interpretation of the ‘control’ concept by the Western regulators just be sure that there is at least minimal control aiming on checking if those bad guys are among your current counterparties and system on preventing cooperation with them. Who is in the Ethics Dream Team? There is always someone who support ethical behavior and few that say it is impossible to implement ethical behavior in a local business reality. Just probably in many other countries. Tone at the Top is critical for success here. Unless you have it you have been playing Russian roulette. Here is the reason. Locals are used to face corruption and fraud both in their daily and professional lives in many spheres. They know that often rights words of their managers are not supported by real actions. Thus they might find natural to participate or not to report unethical acts which could lead to regulatory enforcement again your company and sometimes you personally. So find out in your team who is really devoted to ethics on different levels of the corporate hierarchy to support you compliance efforts. It will facilitate the process and allow winning hearts of your employees. Just have in mind that out there folks are used to follow people they trust rather than follow written instructions. Emerging markets are risky markets. Risk based approach is a platform for decision making process. You may accept compliance risk, transfer it to the third party, mitigate it but in any case be sure that it is a well informed decision. In the reality of Russia and Ukraine specifically consider compliance risks in the areas relating to obtaining licenses, taxation (see for example Archer Midland case of 2013 in Ukraine), customs clearance, occupational fraud (mainly kickbacks in bidding). Local consultants offering services on obtaining governmental permits in the majority of cases are tied with the officials from the governmental bodies responsible of issuance of such permissions. Just have it in mind. The US criminal enforcement is not excusing those managers who are not asking questions. Thus ‘willful blindness’ is also punished. A few criteria for selection right safeguards of your corporate integrity in the oil reach Kazakhstan, Russia or Ukraine. They should really care about what they have been doing, have access to the senior managers, know anticorruption rules, wish to solve the problems, help employees who approach them. And to say ‘No’ when it should be said ‘No’. Is It Really Allowed to Raise Concern? Here the corporate culture comes into the light. By default your employees in Russia, Kazakhstan or Ukraine will not ring the corporate bell even if they clearly see the misconduct. Not used too. There is a recipe to minimize risks of corruption or unethical acts in this particular region. First, duly investigate raised concerns. Investigation reports should be escalated to the senior management level for consideration (for example, to the Compliance/HR committee or regional director). It is very important to ensure that viable and clear corporate ‘verdict’ becomes an outcome of such consideration. Double check whether it was enforced by your subsidiaries at that region. Second, show people that you have cured the problem. It is not about naming bad guys but rather indicating in the corporate mass media typical types of bad behavior which were detected and stopped. To ensure your staff in this region will be raising concerns protect the whistleblowers. It will be the biggest difficulty. The local culture is not tolerating them. Unless you give level of comfort to whistleblowers you will not fully control the company and might face violations which lead to investigations, dismissals and penalties. While it is impossible to predict all compliance risks generated by the CIS markets for sure a trustworthy corporate atmosphere along with genuine will of the key managers to make right things could significantly mitigate risk exposure. Nadezhda, thank you so much for your comment. I fully agree with you that middle level management plays a critical role in the corporate compliance system. To win their minds and hearts is a real challenge.